Assessment of the impact of parental illness has gathered significant momentum over recent years. This book provides an up-to-date guide, for a variety of professionals, on how a range of conditions might impact upon children and young people. Each chapter provides an overview of current literature, an evaluation of relevant interventions, an ‘in practice’ section that provides guidance for readers in terms of best practice, and future research directions. 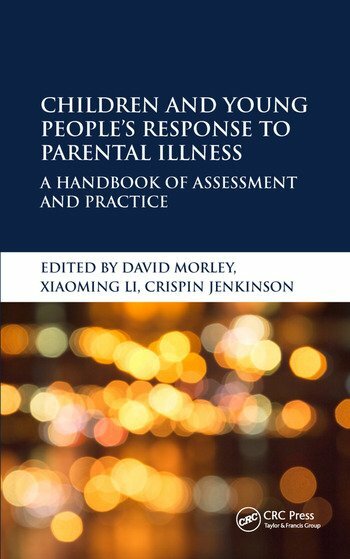 Although the primary focus of the book is directed at children’s and young people’s response to their parent’s condition, the challenges of parenting are also frequently highlighted. Additionally, the text provides an overview of measurement issues when investigating children’s and young people’s response to parental illness. Children’s and Young People’s Response to Parental Illness: introduction and Overview. Parental Multiple Sclerosis. Parental Parkinson’s Disease. Parental Acquired Brain Injury. Parental Depression. Parental Alcoholism. Parental Cancer. Parental HIV/AIDS: from Psychopathology to Resilience. Under-Investigated Parental Conditions: an Overview. Disclosure of Parental Illness to Children: Examples from HIV/AIDS. A Family-Centred Approach to Parental Illness. Measuring the Impact of Parental Illness. David Morley, PhD, is a Senior Research Scientist in the Health Services Research Unit which is housed within the Nuffield Department of Population Health at the University of Oxford. He has published widely on the impact of parental illness, with a particular focus on the offspring of people with Parkinson’s disease. Dr Morley also has significant interests in outcomes measurement and has contributed to the development of a number of instruments. Xiaoming Li, PhD, is Professor and Endowed Chair of Health Promotion, Education and Behavior at the Arnold School of Public Health, University of South Carolina. He has worked with an interdisciplinary team of psychologists, anthropologists, sociologist, physicians, and other health care professionals for over 20 years in the areas of mental health and HIV research in both US and international settings. Professor Li’s research interests include the impact of parental HIV on children’s wellbeing and issues of parental disclosure of adverse events, including HIV infection. Crispin Jenkinson, DPhil, is Professor of Health Services Research and Director of the Health Services Research Unit at the University of Oxford. He is also a Senior Research Fellow of Harris Manchester College. Professor Jenkinson’s research interests include quality of life and health status measurement, the evaluation of patient experiences of medical care, and methodology. He also has extensive experience in developing and validating outcome measures.